1. Welcome Letter. A brief welcome letter from the company is a positive first impression to a new relationship. The letter introduces your company, its mission statement, and expresses delight in having the new employee join the “team”. 2. Application Form(s). A copy of any job application form(s) filled-out and signed by the new employee should be included in the hiring package. An application should at least include contact information (i.e., address, phone number), date of birth, and an emergency contact person for the new employee. 3. Tax and Government Forms. Some forms are required by the Government, including a Form W-4 and Form I-9. New York State requires that every new employee be given a Notice and Acknowledgment of Wage Rate and Designated Payday, Hourly Rate Plus Overtime, which they are required to sign and return to their employer. 4. Consent and Disclosure for Background Checks/Drug Testing. If your company conducts background checks and/or drug testing, prior notice and consent of the employee is required. Such consent is typically obtained at the interview process but, if not, include proper consents/disclosures in the hiring package. 6. Benefits and Insurance. If the new employee is eligible for health insurance on other benefits, such as a 401(k) plan, you should include a summary plan description in the hiring package. 7. Payroll Documents. 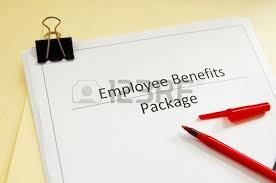 If your company uses direct deposit, include the enrollment form in the hiring package. 8. Company Directory. The hiring package should include a company directory, which includes a list of personnel names, title, email addresses and telephone extensions. 9. Confidentiality and Non-Compete Agreements. Depending on the nature of your business, you may want your new employee to sign a confidentiality agreement if he/she will have access to any trade secrets. If applicable, you may also want the new hire to sign a non-compete agreement. 10. Resume/Work Schedule/Job Description. It may be worthwhile to have the new employee initial his/her resume submitted to the company for the job opening, and attach it to a work schedule and job description. Including such paperwork in the hiring package may prove fruitful in the event of any discrepancy(ies) following the hiring. This list is not exhaustive, as each company may have additional information and documentation relevant to its particular business that it may include in its hiring package. We are happy to assist you in developing a new hiring package suitable for your company. DO RECENT CHANGES TO NEW YORK ESTATE TAX LAWS IMPACT YOUR ESTATE PLANNING?ARE RED LIGHT TICKETS OR SCHOOL ZONE SPEEDING TICKETS EATING AWAY AT YOUR PROFITS?